Intra-team power struggles, or competitions over resource control between members, are pervasive in organizations. 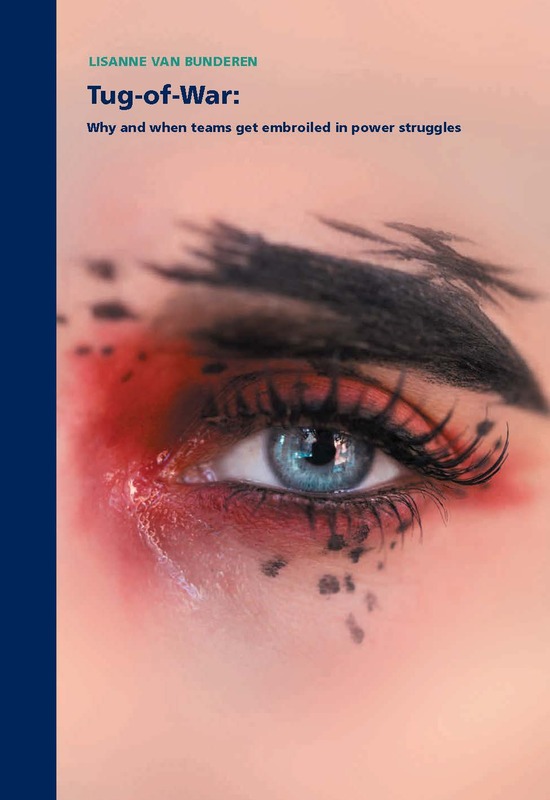 Research has shown that power struggles impair team outcomes, yet why and when they arise remains unknown. In this dissertation, I unravel which factors elicit competitive power dynamics in teams, allowing important insight into their prevention. I draw on social psychological research on power and integrated this with the literatures on group threats and team (power) structures to theorize that power may be sought as a protection-tool when members feel threatened and are motivated by the team structure to cope with this threat individualistically. Accordingly, I develop an overarching framework where I posit that the combination of a threatening team environment with an individualistic team structure encourages intra-team power struggles. This framework finds support in three studies that examined the combined effects of team threats (i.e., inter-team conflict, team uncertainty, and organizational change) and internal team structures (i.e., power structures and outcome interdependence). My dissertation research contributes to several literatures. First, by arguing that power can be utilized as a protection tool, and identifying situations that motivate this, I extend the literature on power (dynamics). Second, by showing that team threats foster intra-team power struggles when teams have an individualistic team structure, I qualify previous research in which threatening team situations have been found to unite teams internally. Last, by pointing out that hierarchy promotes power struggles when teams face threats, I qualify previous research that has advocated for the benefits of hierarchy in such situations.